Yadira is the progressive leader that Thornton, and all of Colorado, needs in the State House. Here are her stances and the policies that she will strive to pass. 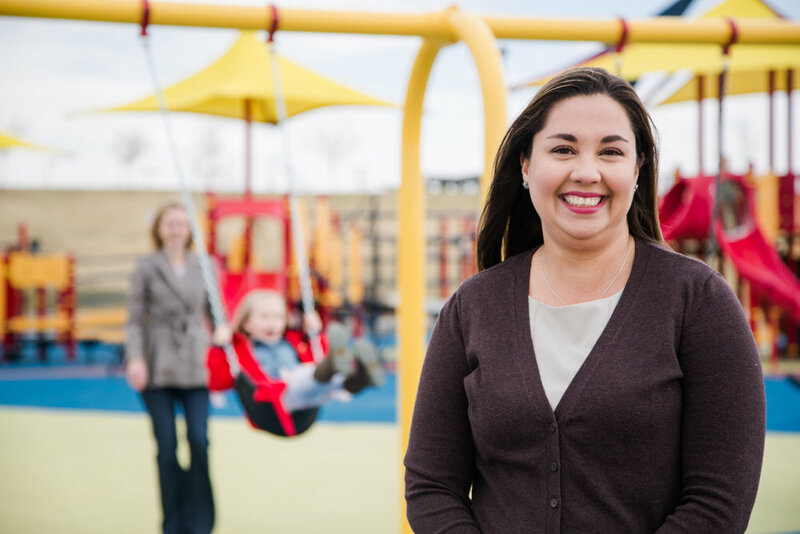 As a pediatrician in Thornton, I see the financial struggles that every day families must face. My family faced them as I grew up and my father worked in construction his entire life. Parents often have to work multiple jobs in order to make ends meet despite our state’s booming economy. Child care is expensive and difficult to find. Housing prices are unaffordable. Yet the wages working families bring home have not risen in decades. I will advocate for the working families I care for in clinic by supporting policies that raise the minimum wage and acknowledge that the wage needed in Englewood is different from what is needed in Elbert. And as a former union delegate, I know the value that unions have brought to the working class in this country and will make sure to stand up for organized labor and not for misnomers like “right to work” policies that only hurt workers in our state. No one knows healthcare like the individuals who deliver it every day. Doctors, nurses, physician assistants and others see the problems with our healthcare system as part of their job every single day. Healthcare in the United States is profit driven and controlled by hospital systems and insurance companies, not by doctors and patients. We are one of the few places on Earth where access to healthcare is treated like a privilege and not as a right. That’s wrong. I challenge anyone who thinks access to preventative care, to vaccines, to dental check ups, or to counseling should be determined by how much money you or your parents make to come see the kids in my clinic for one day. Over 60% of the kids I care for at work are covered by Medicaid or CHIP because some in our country have realized the value added to lives and the need to protect them by providing basic medical services to children no matter how much money their families have. Yet others in this country try year after year to take these services away from kids in my clinic by stripping funding from Medicaid or using programs like CHIP as pawns in political games. Having me as a doctor in the House will ensure that Medicaid and CHIP are protected in this state, children are advocated for by someone who cares for them every day, the need for increased mental health services is addressed and we start to have serious conversations about how to expand healthcare coverage so that every person in Colorado is able to see a doctor when they need one. The primary role of the state legislature in public education is to ensure that our public education system is well funded, fair, equitable and accessible. We all know that while Colorado’s economy is amongst the strongest in the country, our public education system is grossly underfunded. Colorado has failed to provide for one of the greatest responsibilities we have to the children in our state: access to a quality, free education. The legislature should ensure that all children have access to a quality education by addressing the funding shortages in the state in whatever way they can. It should ensure that funding is fair across the state and that underserved populations have access to the same quality of schools that more affluent populations do. Part of funding for public education entails ensuring that public school budgets are not cut by funneling tax dollars to unaccountable charter schools. As a pediatrician I have seen many children who do well in charter school programs. However, I have also seen children who are part of minority groups or who have special mental or healthcare needs be excluded from charter schools or told that these schools would not provide educational accommodations that are protected by law. Charter schools should be held to the same standards as traditional public schools. They should be accessible to the same populations that traditional public schools serve and should be transparent in their use of public funds. Improving public education starts with involving teachers in the process and unions are key to this. My parents moved to Colorado from Mexico in the 1970s in an effort to provide a better future for themselves and their family. This country has, from its inception, been based on immigration, yet many groups see our history as a tale of “we were here first.” Immigrants like my parents work hard and add value to this country through their struggles and ideals and they do this despite daily attacks from those who see them as a drain on our resources or simply as “different.” Discomfort with “difference” is leading to families being broken up, individuals being detained for long periods of time without due process, children being traumatized and even to deaths. As the child of immigrants, I will always stand up for those who came here in search of a better life and to add to the history of this country. I’ve grown up as a minority in a community that overall was more supportive of my differences that many others might have been. However, I still saw the differences in how people of color, like myself, were and are treated in this country. Profiling in police practices is a conversation piece for white communities, yet for people of color the conversations consist of stories of the last time it happened to you or your loved one. I understand the communities for whom an encounter with the police is not stressful but fearful. When communities of color talk about the strides we still must still take in terms of racial justice, we are often told that much has been achieved. Despite this, the Republican party in the Colorado State House last term used the Civil Rights Commission's funding in a game of politics, demonstrating that many members of the House do not truly understand the needs of minority communities when they are so willing to do away with the commision that protects Coloradans from civil rights abuses. Plus, while some individuals of groups of color may achieve the American dream, for most the racial wealth gap is real. There are gaps in wages, home ownership, highschool and college graduation rates, and wealth handed down from one generation to another. While we have overcome much as people of color, complete equality will never be achieved until the wealth gap is closed. The last few years have brought women’s issues to a forefront in public consciousness in a way they haven’t been in decades. Women face harassment and discrimination in and out of the workplace on a daily basis. Every woman knows a woman who has been sexually assaulted or has had the experience herself. It is high time we had a movement like #metoo to highlight the daily assault and disrespect women face. Respect for the contributions of women also boils down to compensation. We must close the play gap between men and women so that we are paid for the true value of our work as well. Women must be also allowed to make decisions over their bodies and their reproduction. As a doctor I've been involved in the types of discussions that should be kept between a woman and her doctor without the interference of the government, an employer or an insurance company. We must continue to fund long acting reversible contraception for young women, as this has drastically reduced the teen pregnancy rate in Colorado. We must protect the Affordable Care Act’s provision of free preventative women’s care and contraception. We must protect access to abortion services and ensure that they are accessible to women across the state. Keeping the choice of if and when to have a child is key to ensuring that women remain free to chose the lives they want to live. There is a pipeline to prisons in many communities in our country, and we must provide individuals with every opportunity to keep themselves from getting stuck in this pipeline. As a pediatrician, I see children who are subjected to constant stress in their household through poverty, exposure to domestic violence, instability or mental illness in their caregiver, and the incarceration of a parent. Some of these children overcome these difficulties but far too many of them will be set up for an adulthood of instability and eventual incarceration themselves. We need to address the troubles that plague too many communities and lead to so many of their young people spending a portion of their lives behind bars. Colorado has the sad history of being the home of the first major school shooting in the US and as a country we have made no progress in keeping kids safe from gun violence. Our state has made some progress though the elimination of high capacity magazines and expanding background checks in gun sales. Recent studies have shown that states with stricter gun laws have fewer gun deaths. However we continue to see attempts to eliminate the gun restrictions we already have in place. We need to protect these restrictions as well as ensure that guns are kept out of the hands of those with violent criminal histories and mental instability. As a resident, I was trained to be an advocate as well as a doctor. I became involved with the Union of Concerned Scientists and had the opportunity to meet with members of the Obama Administration to discuss the health effects of coal-burning power plants on the health of children. As a result of this work, I was honored as a “Champion of Change” by the Obama White House. In recent years, oil and gas production has moved into heavily populated areas in Colorado and will pose an increasing threat to the health of individuals in the metro area. Fracking releases toxic chemicals into the air and children are at particular risk from exposure due to their size and anatomy. Well sites should be kept away from schools and houses by increasing the required setbacks. Given the changes the current administration in D.C. is making to the EPA, states will have to take the driver’s seat on environmental protections, and Colorado should strive to support stronger infrastructure for electric vehicles so that they can become a more feasible alternative from gas powered vehicles for more people. Being born and raised in Colorado, I’ve grown up alongside our state. Gone are the days when it took 20 minutes to get anywhere and rush “hour” was about 30 minutes long. Colorado is going through some serious growing pains, and we need to fund our transportation system in order to expand access to public transportation. With the anticipated growth in our state in the next 20 to 30 years, it will be impossible for everyone to rely on their own vehicle as their primary mode of transportation. However, we cannot build what we cannot fund, so looking at the future of TABOR will be necessary to fund Colorado’s growing transportation needs in the future. TABOR has handcuffed Colorado and keeps the state from using the funds it collects for the betterment of its citizens. Despite a booming economy, we have crumbling infrastructure and failing schools. Funding is key to addressing most of the issues we have in Colorado, and without the elimination of TABOR, funding in this state will always fall short of our needs. Any candidate for public office can tell you what takes the most time, effort, and attention in a campaign: money. Money makes for effective campaigns, and as a result, it ends up consuming far too much of the time and energy in campaigns. Public funding would level the playing field in politics, allowing candidates to focus on what’s really important: talking to their voters and eventual constituents about what’s going on in the community and the households of these individuals. Without these discussions it is far too easy for politicians to lose sight of what a community needs and what the public wants. The ability of some communities to raise money and therefore produce viable candidates also blocks members from underrepresented communities from running for office and expanding the diversity of elected bodies. Feeling Inspired? Join Our Mailing List Today!